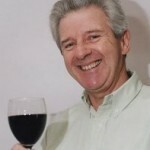 Brian nurtured his passion for wines whilst entertaining clients in the chemical industry over 30 years. Brian passed his WSET Diploma in 1999 and began to run classes in Fleet , Guildford and Farnham before moving to Lambourn in 2011 and setting up the Lambourn Wine Circle. His is a relaxed style of lecturing, welcoming feedback and discussion with the emphasis on enjoyment and fun! With this style, both seasoned wine drinkers and novices have become regular attendees. Brian travels widely and has recently visited New Zealand, Australia, Italy, Portugal, California, Champagne and Germany to broaden his knowledge. He regularly attends seminars and tastings in the UK and takes every opportunity to promote English wines. If you are interested in attending a course or running a tasting, Brian would be delighted to hear from you!